Ireland’s Ancient East is an area covering 17 counties stretching from County Cavan to Dublin City and further southwest to Cobh, Co.Cork. Many visitors to Ireland are attracted by The Wild Atlantic Way, the western Atlantic seaboard stretching 1600 miles and providing dramatic scenery, history and physical attractions. Well there is another aspect to what Ireland has to offer, the ‘Ancient East’ has within its 17 counties many treasures from Ireland’s extensive history, from the monastic period to the Vikings and the Anglo Norman’s. In fact this area of Ireland has structures dating back over 5000 years. 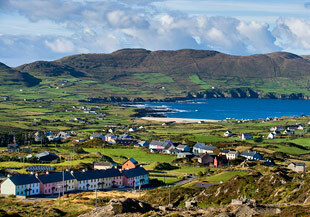 The east coast of Ireland is the area where the greater part of Ireland’s population has traditionally settled. Dublin City, founded by the Vikings in the 9th century became one of the great trading cities of Europe. Now one third of the population of the Republic of Ireland lives in the greater Dublin area, and the eastern seaboard of Ireland continues to have some of the most fertile lands in Europe. 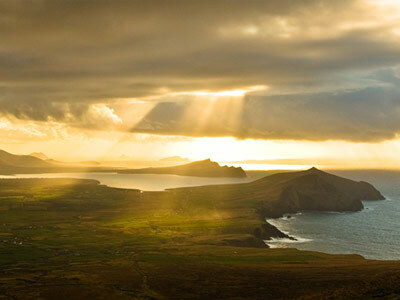 Irelands wealth centers iaround this area and down through the centuries the old Gaelic lords and the invaders who came to Ireland fought momentous battles to seize and retain the lands in this area. Those old Gaelic lords and invaders have left us many historic sites waiting to be explored, a multi day tour of Ireland’s Ancient East promises a fascinating insight to the history of Ireland. (1) Dublin City – founded by the Vikings and developed into a major European trading post, Dublin is a city which oozes history. Now a modern cosmopolitan city, the city has managed very well to blend the old with the new. Historic sites and attractions well worth visiting include Trinity College, Christchurch Cathedral and the Viking portion of the city in the Wood Quay area. Dublin particularly developed into an elegant city during the Georgian period of the 1700’s and many fine buildings from that time remain. Any trip to Ireland would not be complete without a trip to Dublin. (2) Glendalough, Co, Wicklow – site of one of Ireland’s primary monasteries founded during the 6th century by St. Kevin. The current structures were built a few centuries after the monastery was founded and are relatively intact. The location at the foot of the Wicklow Mountains is stunning, A ‘must see’ location approx 30 miles outside Dublin. (3) Kilkenny Castle – dominating the medieval city of Kilkenny, this elevated structure stands on the site of an original fortress constructed by the Anglo Norman’s shortly after their invasion of Ireland in 1172. Subsequently this Castle became the home of the Butler family and was developed down through the centuries into a grand Manor house. 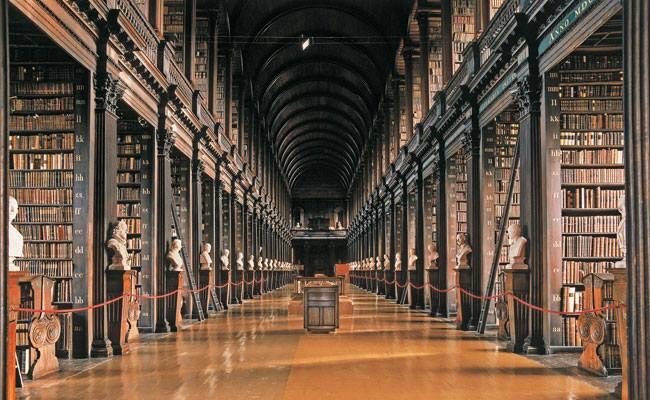 Preserved beautifully by the Irish Government, this Historic structure is well worth a tour. (4) Rock of Cashel – originally the seat of the Kings of Munster who handed it over to the church in 1101, this is a fantastic medieval site to visit, The old buildings again are carefully preserved by the Irish Government and well worth touring, Queen Elizabeth visited The Rock of Cashel in 2011. 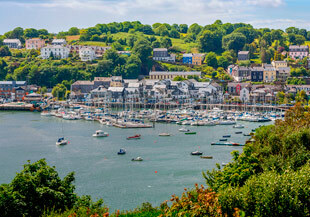 (5) Cobh – originally named Queenstown, this was the port from which hundreds of thousands of Irish emigrants left for the USA. It was also the last port of call of the Titanic. A very well constructed Heritage Centre is well worth a visit. (6) Dunbrody Famine Ship – situated in New Ross, Co, Wexford, this recreation of the original famine ship is a fine attraction. New Ross is also the ancestral home of John F Kennedy, President of the USA. (9) Clonmacnoise– another of Ireland’s most important historic monasteries founded in the year 544 by St. Ciaran. The remains of a number of monastic buildings remain. Also on show here is a collection of original Celtic crosses. An excellent guided tour is available on site. (10) Trim Castle – a magnificent Anglo Norman structure dominating the town of Trim, dates from the Anglo Norman invasion of Ireland, One of the larger Anglo Norman structures still relatively intact. (11) Castle Leslie – situated on 1000 acres an old Scottish Baronial Grand Manor House dating from the 1870’s, this is now a lovely hotel with real character. Great restaurant situated in the old stables. Located on the border, this hotel was made famous when Paul McCartney (Beatles) got married here. Well worth spending a few nights here. 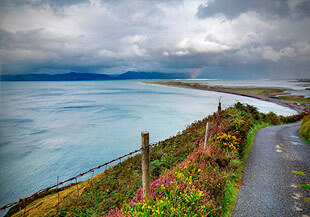 The above examples is but a few of what Ireland’s Ancient East has to offer. The entire region is dripping with historic sites which will give an enriching experience to any visitor who chooses to spend time in this area. Come and see for yourself, you will not be disappointed.